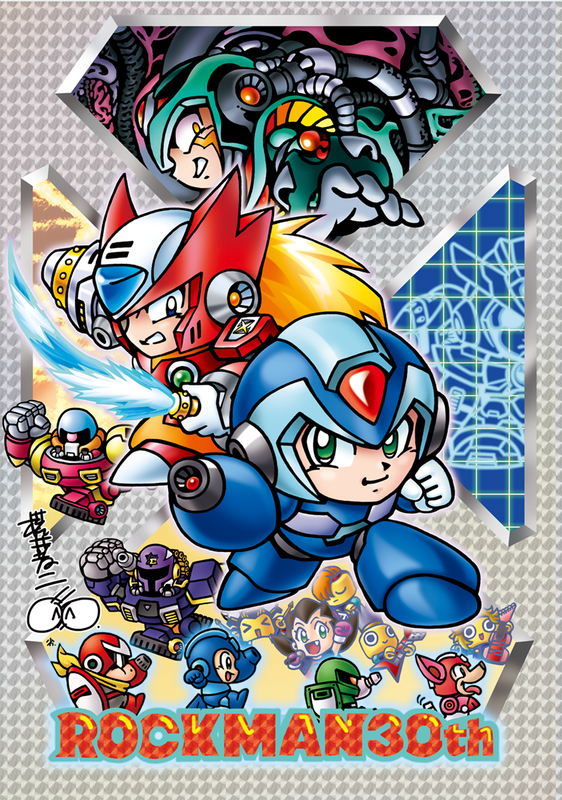 The final 30th anniversary commemorative mobile wallpaper from the Rockman Unity app is here. The artist charged with closing things out is none other than Hideki Ishikawa, who is perhaps best known to fans for his work on the Mega Man Legends series. Fans of Mighty No. 9 will also recognize his work for the unused (but still very popular) Call "E" design. These days, Ishikawa works as a freelancer. He's recently done some designs for toys and provided illustrations for the Pokemon Trading Card Game. 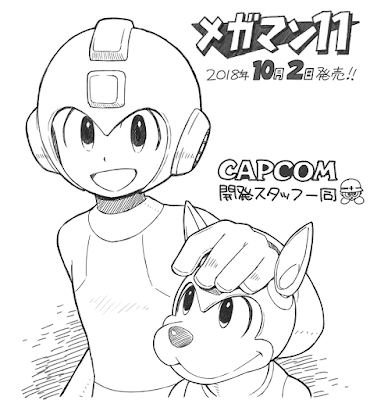 It's always good to see his pen go to work on Rockman stuff though. 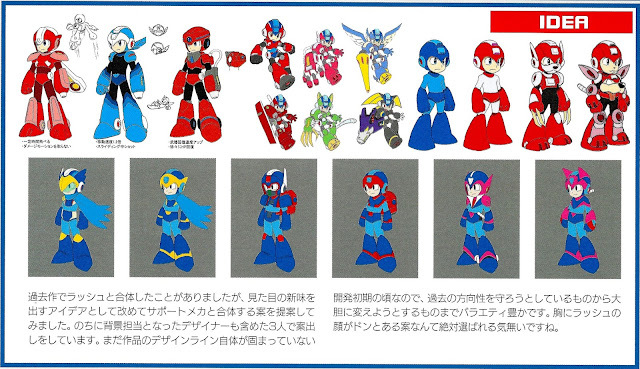 *Clean* Rockman stuff, that is. You can download this piece in its full resolution here. Be sure to hit up that link if you missed out on any previous 30th anniversary wallpapers, too – they're all there! Nendoroid Mega Man X & Rabbit Ride Armor Price and Release Date Announced! We finally have a release date and price for the much anticipated Nendoroid Mega Man X & Rabbit Ride Armor. 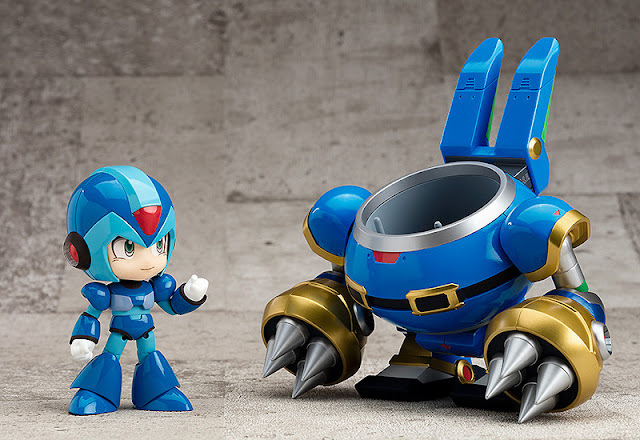 Both figures are due on June, 2019 – the Nendoroid Mega Man X will be on sale for 4,444 Yen and the Rabbit Ride Armor for 6,944 Yen. Purchases of Nendoroid Mega Man X from the Goodsmile online shop will include a super neat, bonus hand part from "The Day of Sigma"! Hit the jump to read the official descriptions and see more images. 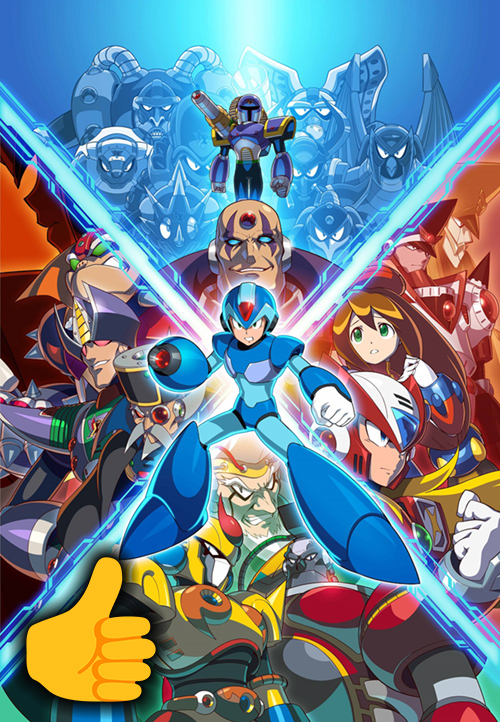 "Mega Man X Legacy Collection, Mega Man X Legacy Collection 2 and Mega Man X Legacy Collection 1+2 (for PlayStation 4, Nintendo Switch, Xbox One and PC in all threecases) performed well thanks to a dedicated fan base and strong brand capabilities." During this quarter Capcom profit achieved its highest levels in the company's history due to growth of digital content. 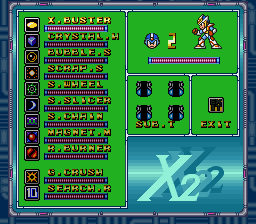 Capcom explicitly mentioned Mega Man X Legacy Collection 1+2 contributed to this result. 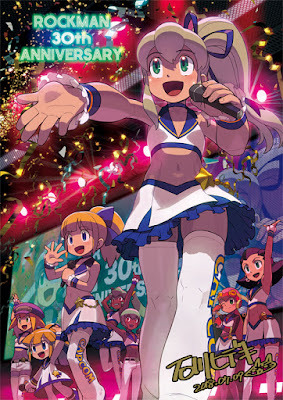 In the same report Capcom mentioned that Pachislot Rockman Ability machines sold roughly 1,500 thousand units in a weak market environment. Sales are struggling due to the downturn in consumer confidence and dampening investments by the Pachinko/Pachislot hall operators. 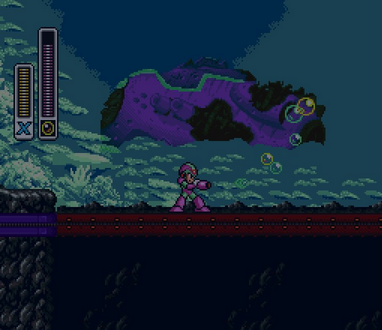 All in all, it looks like Mega Man X Legacy Collection has been a success for Capcom. Now we can only hope that Mega Man 11 will turn up with equally good news when the next financial report hits. 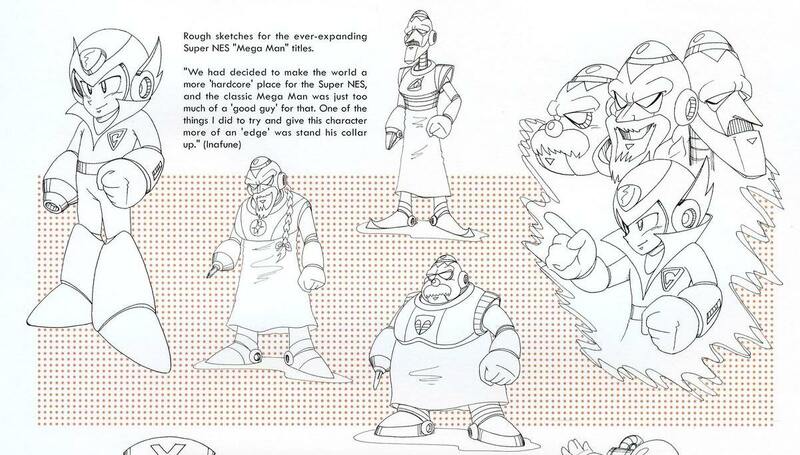 Courtesy of my buddy Hayden, here's another translated page from the Rockman 11 Production Note. This one deals with the many unused transformations based on support characters. 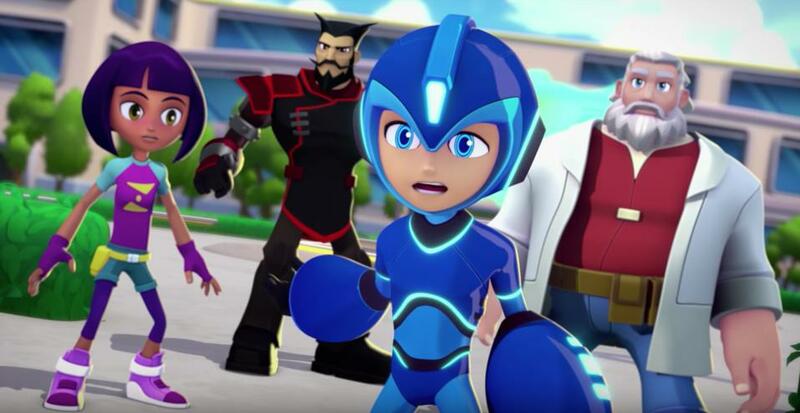 "In previous titles, Mega Man has combined with Rush. So I suggested a few fresh-looking combinations with the support characters in the game. Eventually the background designer joined in and three of us were working on these designs. This was still during the earliest point in development when there wasn’t yet a decided look for the game, so there is a range of designs that capture the look of older games and some that are drastically different. 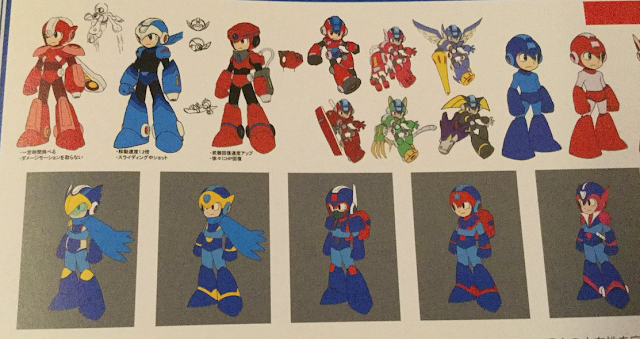 There wasn’t an ounce in me that thought the design with Rush’s face slapped on Mega Man’s chest would be chosen." 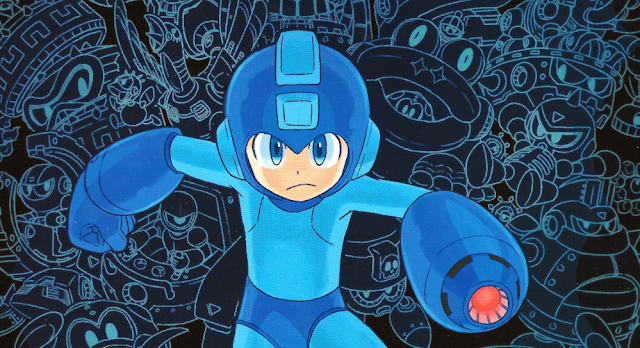 Could you imagine a game where Mega Man could combine with Beat, Tango, and even Treble? 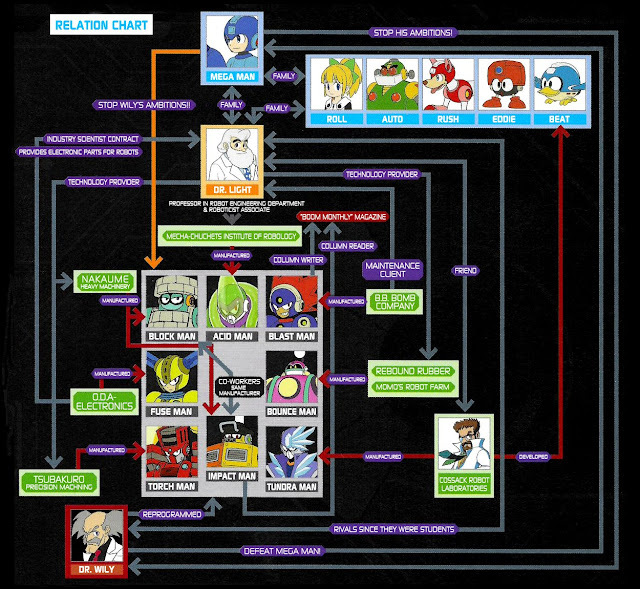 The idea was certainly explored in Mega Man 11's development but, alas, it was merely a spring-board for the final game's Robot Master-based forms. Maybe next time? Also, look at the bottom row, second on the right. See anything familiar? That form is clearly inspired by a very early, "Super Mega Man" concept. Neat! Thanks again to Hayden for the translation and Rock Miyabi for the scan! We've got to more mobile wallpapers to help close out October. 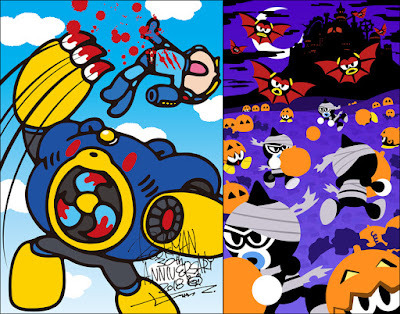 The first is the second to last wallpaper of the month from the Rockman Unity app (left). It's illustrated by Mori Chack, who is best known for the creation of Gloomy Bear. 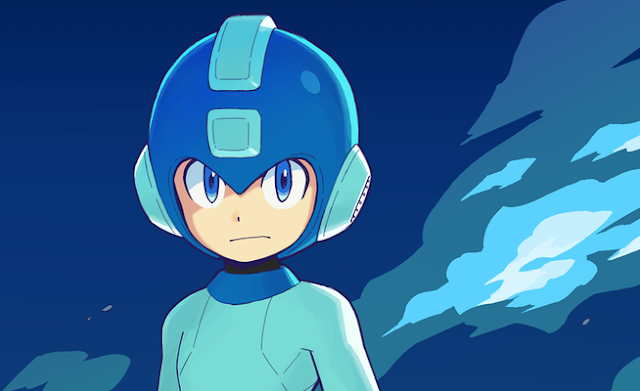 The second wallpaper comes directly from the Rockman Unity Blog. 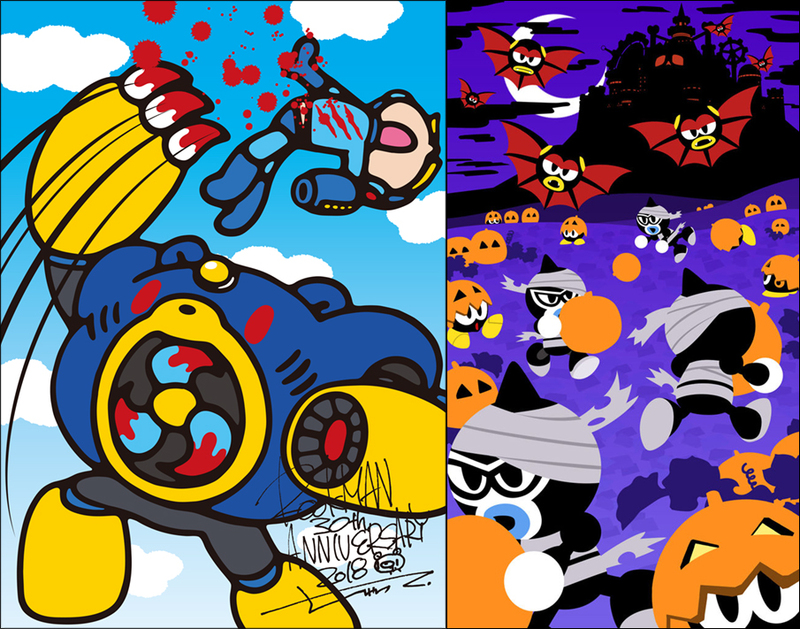 It's a special Halloween scene created by Mega Man 11 UI Designer Yoriko Yagi full of Metalls, Battons and one of the new enemies from Mega Man 11, the explosive Shimobey. Download the full resolution here! Drop by next week for the final wallpaper! Based on five days of data, physical sales of the Nintendo Switch version launched Mega Man 11 to the #5 spot of top grossing games of the month, right behind The Legend of Zelda: Breath of the Wild, Super Mario Odyssey, Mario Kart 8 Deluxe, and Super Mario Party. Do note that these charts reflect dollars sold, not number of units sold. Its worth pointing out that Mega Man 11 did not chart on the top 20 selling games overall. Still, the fact that the physical Nintendo Switch version generated enough revenue to be tracked by The NPD Group is an accomplishment in itself. The last time a Mega Man game tracked on NPD charts was back in 2003 with Mega Man Network Transmission. Remember, The NPD Group do not track digital sales. It's very likely Mega Man 11 is faring well on the eShop, among other digital storefronts. We don't have any official data on that area, although the Steam version is said to have sold somewhere between 20,000 and 50,000 copies. Overall, I believe the game is doing just fine. 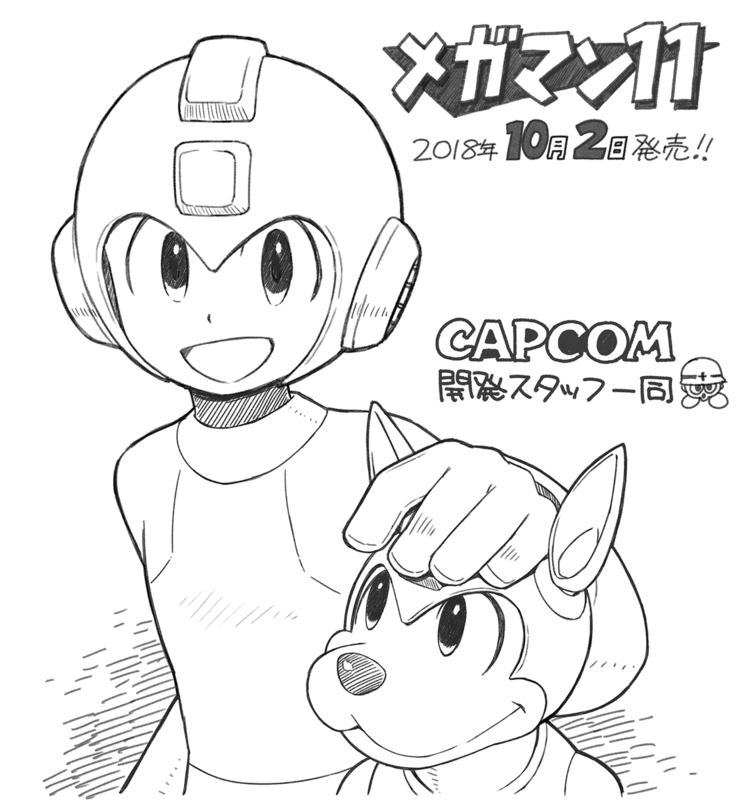 Always keep in mind that Mega Man 11 was a smaller budget project for Capcom. The game doesn't need to sell millions of copies to turn a profit. I do imagine, though, that there is a certain number Capom want the game to hit to be considered a success. Let's hope it can get there! 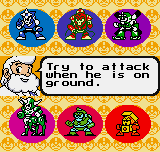 Eighteen years after its release, you can finally play most of Rockman Battle & Fighters in English. Marc_Max has released an work-in-progress translation patch on ROMhacking.net. It translates ALL in-game dialogue, character interactions, and some menu prompts into English. The only things not translated are Main Menu graphics and the Database. Other than that everything is very much in a legible, playable state. For the uninitiated, Rockman Battle & Fighters is a bite-sized compilation of Rockman: The Power Battles and Rockman 2: The Power Fighters for the Neo Geo Pocket. And if you've played either of those games, you know what's going on here: all bosses, all the time. It's a very simple, pick-up-and-play boss rush with some excellent sprite work to boot. It's worth checking out. Grab the translation patch here! 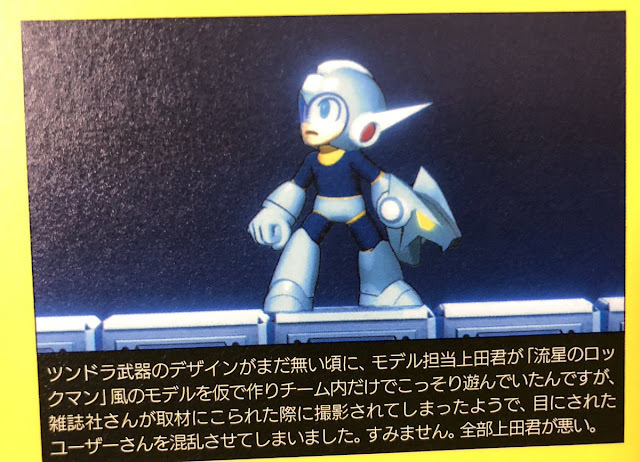 The Rockman 11 Production Note features an interview between Mega Man 11 producer Kazuhiro Tsuchiya and Rockman Unity's Ucchi. Among the many topics discussed, Tsuchiya revealed that, initially, Mega Man 11 started out as a wholly different Mega Man project. Although Tsuchiya doesn't divulge any details about what it was, he insists that he still wants to make it. This week's wallpaper from the Rockman Unity app is by Fumikane Shimada, character designer of cult anime Strike Witches and Girls und Panzer. Come back next week for another wallpaper by a famous anime/manga author. For the past couple weeks the official Rockman Unity Twitter account has been posting little Mega Man 11 tips called "Advice from Dr. Light's Lab". 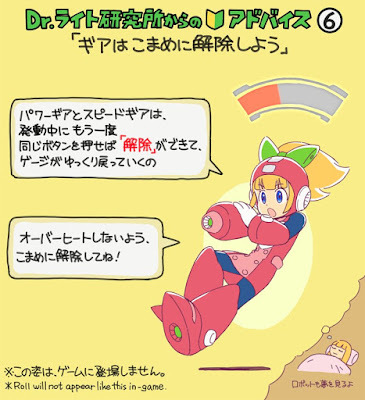 Each tip includes new artwork of Mega Man 11 characters, and this one – "#6: Release the 'Double Gear' Diligently" – features Roll decked out in her very own "Mega Man" gear. Coupled with the prospect of post-launch content, this piece has some fans hopeful that playable Roll DLC is coming. But is it really? So here's the deal: a cropped version of that image has been making the rounds, and it's missing a key element. 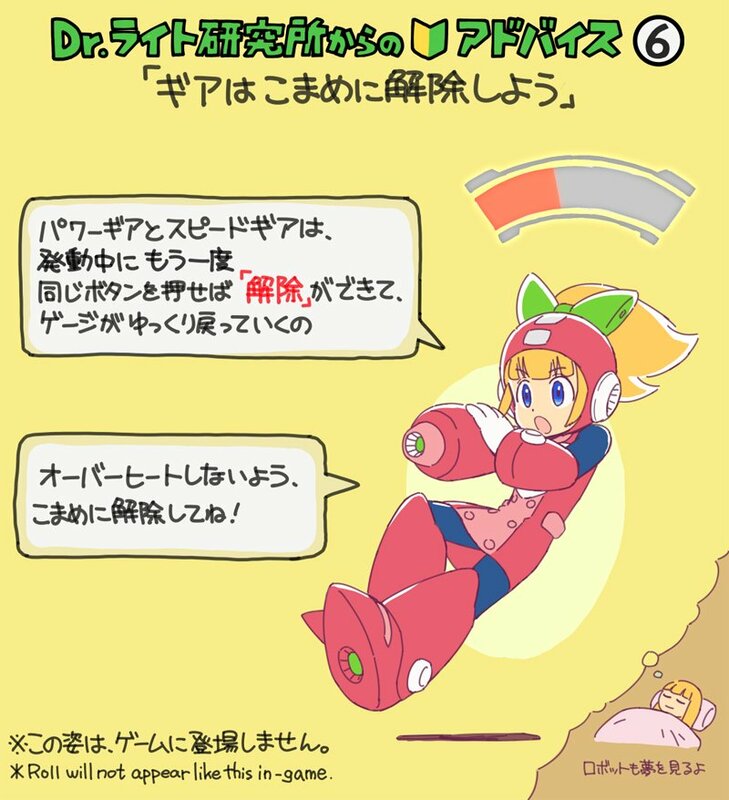 The original image has a message to fans that reads, "Roll will not appear like this in-game". Do note that, out of all the Japanese text in that image, this is the only line that's translated in English. I think it's safe to say Capcom really want you to keep your expectations in check here. That's my interpretation, at least. Regardless of this image's intent, I think we can all agree it's time for Roll to be playable again. 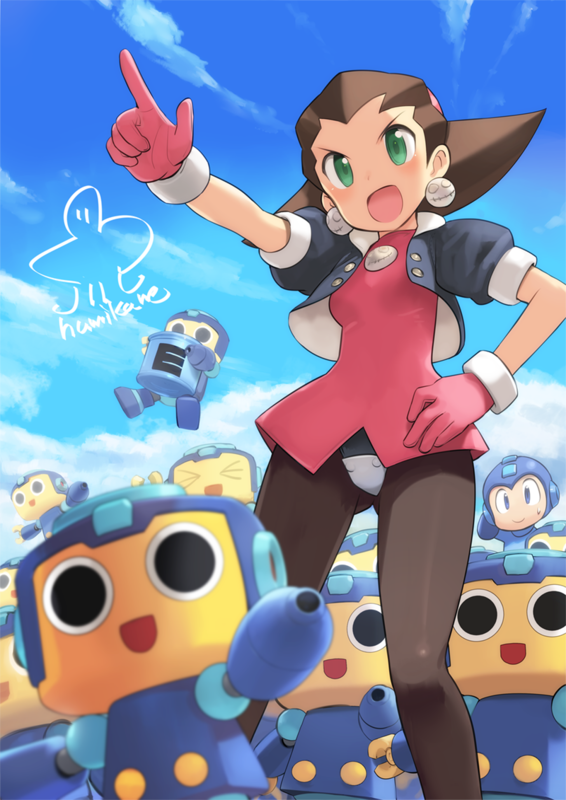 She was last playable in the Japanese-only Rockman 1 mobile port and before that, Mega Man Powered Up. 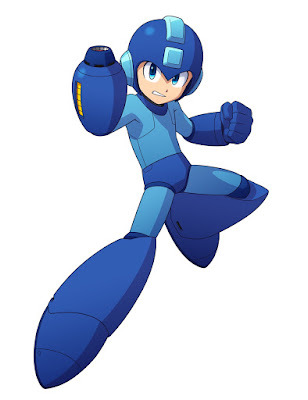 If Mega Man 11 DLC really is on the burner (it could be) would Capcom really pass on the opportunity? Today's Super Smash Bros. Ultimate music reveal is a brand-new Flash Man medley by the great Keiichi Okabe, the composer behind Nier and Nier: Automata. Do your ears a favor and check out the sample above – it's magnificent! Thanks for the tip, Nitomatta! If a recent listing on the Steam Database is to be taken at face value, more Mega Man 11 could be on the way. On October 10th, Mega Man 11's Steam Database page saw the addition of a post-release branch titled "8ing". According to speculation, the branch name is a direct reference to 8ing – the Japanese video game developer who worked with Capcom on Tatsunoko vs. Capcom, Marvel vs. Capcom 3: Fate of Two Worlds, and Monster Hunter 3 Ultimate. The existence of the 8ing branch suggests Capcom have outsourced, or are collaborating with 8ing to develop future Mega Man 11 content. To date, 8ing have not worked directly on any Mega Man game. 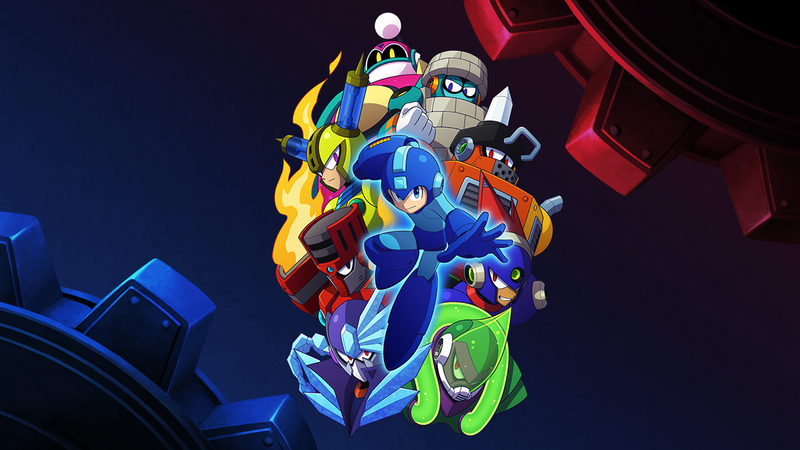 Beyond the "Wily Numbers Instrumental Tracks" pre-order DLC, no additional Mega Man 11 content has been announced by Capcom. However, it's worth pointing out that the game does check for DLC upon boot-up. So if additional content is planned/currently in the works, Mega Man 11 is already primed and ready for it. So hopefully this will amount to something. I mean hey, I know I could go for some DLC. (second playable character, please) I'll keep you posted either way. Thanks to Hanumachine for the tip! The mystery of Mega Man 11's unused Mega Man Star Force costume, which was first seen in the pages of Game Informer's January 2018 issue, has at last been solved. According to developer commentary featured in the Rockman 11 Production Note book, the costume was indeed created as a placeholder for Tundra Storm. They write, "When there was still no design for the Tundra Man weapon, Mr. Ueda created a Shooting Star style [Star Force] model as a place holder during development. It seems the magazine journalist that came took a photo of it... Sorry for confusing fans. We blame Ueda." And there you have it. Sadly it doesn't look like there are any plans for the costume to be distributed as DLC or anything like that. But hey, maybe next time? 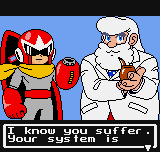 I always thought the idea of being able to, say, purchase costumes based on different Mega Men from Dr. Light's lab kinda enticing. I mean, that's what I initially hoped what was going on here. Ah well. Blame Mr. Ueda. 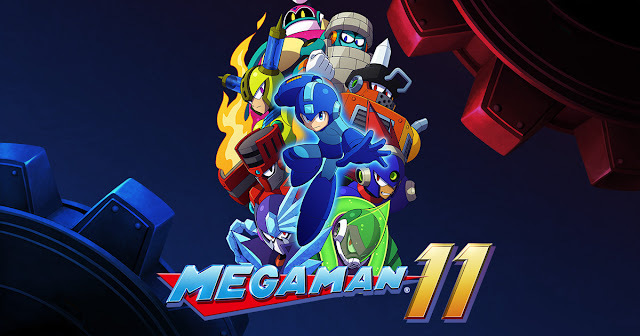 Mega Man 11 Is Finally Here! 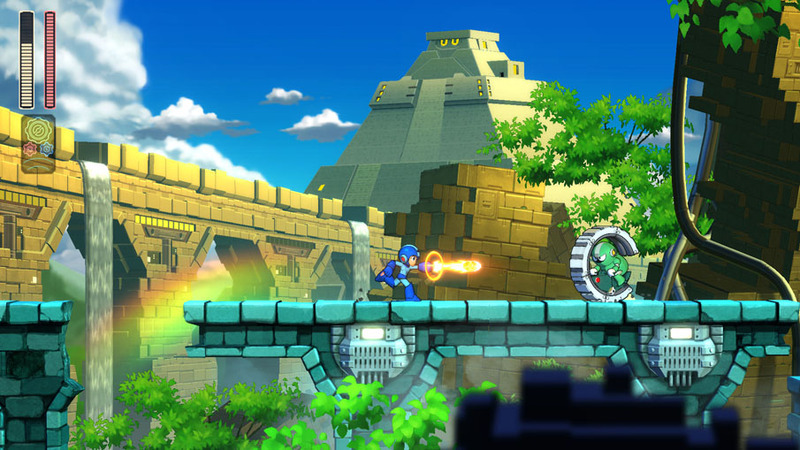 Eight years and four cancelled games later, Mega Man 11 is finally here. It's crazy, isn't it? To think that this all started with a small, seemingly innocent teaser in Mega Man Legacy Collection 2 a little over a year ago. Holy moly. What's remarkable about all of this is how the game couldn't have existed without you, nor the unwavering passion from producer Kazuhiro Tsuchiya and director Koji Oda. A franchise seemingly abandoned and left for dead survived. Powered by the hopes of "seeing Mega Man again", the wishes of fans and Capcom staff alike have come to fruition. And you know what? Those same wishes just might lead to even more great things. Whether you're playing on a PlayStation 4 or on-the-go via Switch, I sincerely hope you enjoy Mega Man 11. It's a solid entry in the classic series and a worthy revival of of old blue boy. Get out there, fight the good fight, and have fun! Thank you, everyone. We did it together!